You must be a member of the Lyon Spontaneous Activities Group to attend this activity. Would you like to join this group? Protected content is known as a place where you can share a drink and dinner with friends in a warm and relaxed atmosphere. Wednesdays are particularly interesting because Jazz Radio invites an artist in the space Protected content This Wednesday it will be Sly Johnson. Present for over 15 years on the French scene, Sly Johnson has a rich career. 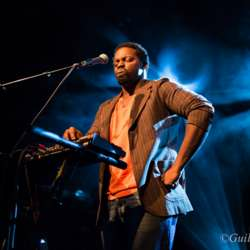 He has received awards such as a Victoire de la Musique and two gold records with the Saïan Supa Crew. Come with us and enjoye :-) ! Free concert. Dinner : from 14 euros.